We all need to speak out on these issues presented here and be against censorship in the media. 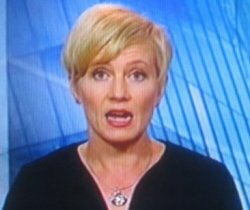 The Finns are being manipulated by the media. Luukas school building fenced off with barbed wire in Espoo, Finland in 1908. 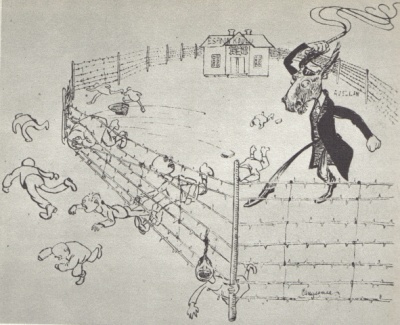 Mr Avellan whips children in the cartoon. Like many other similar cases, this case is hushed or censored in the media. 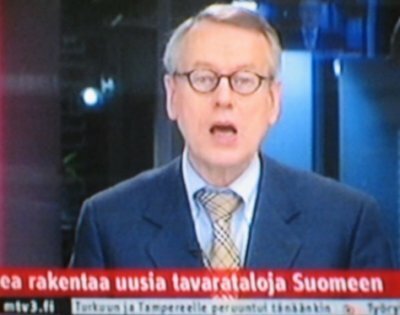 YLE is a government-controlled TV station, owned by the state of Finland. The other TV stations which have TV news programs seem to follow YLE's journalistic lines, which means censorship on certain issues. Government control over the media has always been remarkable in Finland because of aggressive neighboring countries, Russia and Sweden. 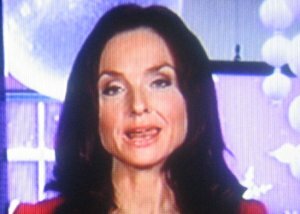 The close connection between politics and media is a hushed issue in the media. ﻿Several issues are heavily censored in Finnish media. Practically all articles on some issues (eg language issues) are misleading and made for propaganda purposes. The media has never reported anything on government's decisions on language policy. This is the case for the whole media without any exceptions (!). Some people protest against language policy on the internet and somebody have found out government's hidden aims and published them on the internet. Of course before the era of the internet the population of Finland was completely unaware of hidden issues, eg language issues. Who have made something and why was a riddle for most Finns. YLE TV station is ruled by politicians, so the major political parties are responsible for the censorship of YLE. And the government too. Columnists spread pro-swedish propaganda. Or in some newspapers the editor-in-chief himself, for instance in Maaseudun Tulevaisuus newspaper. The newspaper claims to promote agricultural lifestyle, but it keeps rural people unaware of language issues by being silent on them. And disseminates propaganda instead. Which newspapers are censored in Finland? All, but some of them spread propaganda regularly and some rarely. Most newspapers do have spread government's propaganda over the years. The articles in Finnish newspapers have never mentioned the controversy between the language policies of the neighboring countries and Finland. All Finnish newspapers, magazines and TV stations censor everything which could tell something on language policy of the government. They never mention about language issues and policies in Finland or neighboring countries. And who have made decisions on language issues is an obscure thing for citizens. The media is silent on these things as if the government or politicians had nothing to do with the language policy in Finland. According to a resercher the speakers of Meänkieli dialects in Northern Sweden have been victims of a cultural genocide. They have been forced to abandon their mother tongue by Swedish governments. More on this here. It seems that Finnish media and the government accept this cultural genocide by being totally silent on this issue. And by spreading pro-swedish propaganda. The Finnish media is dishonest. The articles and columns are biased or misleading. For example the next issue is hushed or censored in the media. Swedish government constantly interferes in Finland's internal affairs. So does Swedish big business too: Wallenberg family through its firms and Nordea bank among other firms. They all practically decide what languages Finnish pupils, students and employees have to study. They all have taken part in ongoing campaigns to promote Swedish language. Most political parties in Scandinavian countries are pursuing principles of linguistic imperialism on Finland, and censorship in the media. TV and newspapers spread disinformation about history and all political issues. Censorship in the mainstream media makes Sweden, Finland and Norway a kind of plutocracies, ruled by the political and economic elite. These massive deliveries of iron ore, bearings and military facilities from Sweden to Nazi Germany lengthened World War II. Casualties of the war have been estimated at 20 million killed in Europe. How many of them died due to Sweden's material support to Nazi Germany, is not known. Gerard Aalders and Cees Wiebes The Art of Cloaking Ownership: The Secret Collaboration and Protection of the German War Industry by the Neutrals: The Case of Sweden. L A Puntila wrote a book of the Svecoman movement in 1944, in Finnish Suomen ruotsalaisuuden liikkeen synty - aatehistoriallinen tutkimus. The book brought to light the hidden history and some professors did not like it. Puntila did not fear them, he was an appreciated historian, who had studied the subject thoroughly. Puntila's book is my source in the next lines. Axel Olof Freudenthal (1836-1911) developed an ideology which praised the Swedes themselves, adored Sweden (also Norway and Denmark) and made untruthful and insulting claims about other nationalities: Finns, all the Finno-Ugric peoples, Hungarians and non-European peoples. Freudenthal's claims often dealt with culture. Freudenthal had contacts to Norway and Sweden. His contacts Axel Lille (1848-1921), Peter Munch (1810-1863) and August Sohlman (1824-1874) presented similar insulting claims. However not all supported Freudenthal at the University of Helsinki. Emil Böök resisted his ideology and believed that all the peoples are equal. He and many others were fighting for the Finns, who had sublime aims to improve their position. According to Böök Freudenthal's and his supporters' attitude toward the Finns was firstly a sheer negativity and secondly an impudent scoff. Norwegian Peter Munch visited the archives of the Vatican from 1859-61 which did not prevent him mocking mostly Catholic Hungarians. Munch claimed that the Hungarian culture was inferior than it was expected (source Puntila's book, page 109, Munch's book from 1875, page 422). Munch's only reason to flout the Hungarians was that the Finnish and the Hungarian languages are related. Peter Munch also had prejudices against non-European peoples, and he made dishonest and insulting claims about other peoples. Axel Lille founded Vikingen ("Viking") magazine which came out from 1870 to 1874. Some of its articles insulted other peoples. Axel Lille claimed under the pseudonym "A" that the Finns had probably died out without Swedish civilization like their brothers in the steppes of Sarmatia in Vikingen magazine on November 28, 1870. An insulting lie and an absurd claim. Lille, Freudenthal, Munch and Sohlman made a number of similar claims. Svecomans still grant a medal named after Freudenthal and Lille. The Time magazine published on September 22, 1997 James Walsh's article Unnatural Selection. Political leaders and parties, governments and media owners are responsible for censorship. They have made all decisions to hide things from citizens and voters. Influential Finnish politician K N Rantakari suggested in Aamulehti newspaper in 1929 that the language issues (eg mandatory swedish and in particular Finnish language teaching at the University of Helsinki) should be hidden ("quietly buried") in the politics and the media. The students had wanted Finnish language teaching for a long time. Practically Rantakari suggested censorship, which began in Finnish newspapers in the beginning of 1938. Finnish scientist and chairman of the Finnish Alliance V A Heiskanen noticed this soon and presented an example: all Finnish newspapers hid the fact that the three Northern European countries had different views on security. Finland had wanted mutual security guarantees for the League of Nations, but Norway and Sweden resisted. And perhaps the people of Finland thought that other countries will help if it will be attacked. The newspapers had misled the people, on politicians' order. Rantakari was German and Swedish-minded and Kekkonen resisted his policy in the magazine of the Finnish Alliance no 4, 1933. Rantakari had had influence on Sunila's and Kivimäki's governments. K N Rantakari was a National Coalition Party member. The Swedish governments have interfered in Finland's internal affairs in the 1930s and since the 1990s. This is something really sensitive in the politics and Finnish TV and newspapers have censored this issue. In 1918 Swedish officers and soldiers were involved in the Civil War of Finland. During the fights and after them some 20 000 Finns were starved to death or executed. Among the victims were men, women, workers, soldiers and civilians. Tauno Tukkinen in his studies reveals an ethnic cleansing in Western Uusimaa (some 50 km west of Helsinki, in May 1918) and Forssa region in Southwestern Finland. Some 200 Finnish civilians, men and women, were executed by the Swedish battalion in Western Uusimaa. The commander of this battalion was Edward Ward. The division of the Swedish volunteers executed 260 Finnish civilians in Forssa region in April 1918. The commander of this division was Swedish nobleman Carl August Ehrensvärd. In this case 13 of the executed were women and the youngest was only 16-year-old. All victims were Finnish. So the Swedes executed at least 460 Finns in the spring 1918. Tauno Tukkinen, 1999: Teloittajien edessä. Ihmiskohtaloita Karjalohjalla, Sammatissa, Nummella, Pusulassa, Nurmijärvellä, Vihdissä ja Inkoossa 1918. Ill. 160 pages. 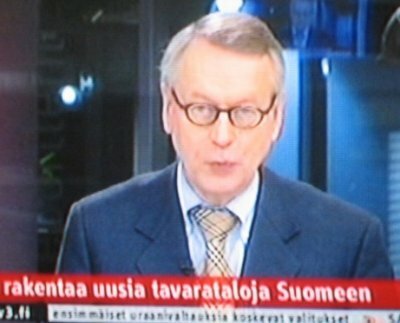 Tauno Tukkinen, 2001: Mäkeen mäkeen vaan. Punaisten henkilötappiot Forssassa, Jokioisissa ja Tammelassa 1918. 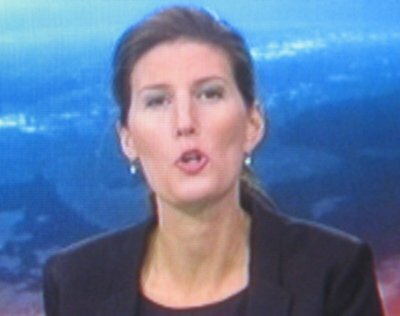 TT Karjalohja. In October 1915 a Finnish delegation went to Stockholm, in order to inquire Sweden's attitude on Finnish independence movement. The members of the Finnish delegation were Otto Stenroth, Samuli Sario, A. H. Saastamoinen and Axel Lille. In the negotiation Swedish count Douglas said the Finnish delegation that Sweden wants to annex Northern Finland, Kemi river would be the border between Sweden and Finland. The Finns, however did not want to cede Northern Finland to Sweden. Two years later on January 1918 Sweden planned to occupy Northern Finland or the whole Finland. The Swedish troops actually occupied Ahvenanmaa archipelago in 1918 until German troops arrived there. Archivists in a police museum in Trondheim, Norway in 1997 discovered sugar cubes with tiny vials of anthrax hidden in them. The first evidence of anthrax as a weapon follows this discovery. The sugar cubes — containing still-viable anthrax spores — were confiscated from a Swedish spy Baron Otto Karl von Rosen in Northern Norway in mid-winter 1917. During the Thirty Years' War in Germany some 50,000 - 60,000 Finnish soldiers were perished in 1630-1648. The Thirty Years' War took a heavy toll on horses with crippling consequences upon Finland's agriculture. This was the onset of a fatal depletion of strength, completed by the dreadful famine in 1697 and then the Great Hate 1714-1721, wreaking havoc on a country with scarcely half a million inhabitants. It is a miracle, that the whole Finnish tribe didn't get extinguished in the claws of Sweden's imperialist kings and the famine. In the 16th century Sweden occupied Danish Skane (in Latin Scania), the southernmost part of the Scandinavian peninsula. The Danish inhabitants of Skâne had to deal with a very intolerant Swedish regime. It denied their national rights and killed some of them. All the minority peoples (Finns, Saamis and Danes) were punished for speaking their mother tongue by the Swedish government in 1600-1950s. King Charles' XI (1655 - 1697) reign in Skâne was of appalling brutality; a word spoken in Danish would cost the speaker's head. One example on the treatment of Finns in those days, was the forcible "recruiting" of shipbuilders for the region of Karlskrona and Kalmar, 1681-1682. At least two thousand Finns from Turku, Pori and Rauma areas were shipped off to a location in Sweden, kept secret for fear of protestation from the common people. In most cases, the families were split up, because they couldn't afford the transportation of family members. During the 16th and 17th century Finns were lured to move to Central Sweden by the Swedish King. They became to be known as Forest Finns. Väinö Salminen describes their life of the 17th century, when the Swedes tried an ethnic cleansing authorized by the Swedish king. This ethnic cleansing was not successful thanks to Finns' strong resistance; however many Finns were killed. In this difficult situation some Finns fled to Norway or Delaware in America. Moreover, when one third of the Finns perished during the Great Famine 1697 as a consequence of several, consecutive years of failed crops, the Swedes never lifted a finger in order to save the people of Finland from starvation. The weakening of Finland in the 17th century, however, proved fatal for the Swedish Empire, because during the reign of Charles XII (1697-1718), unlike in the Thirty Year War, the supply of Finns to be levied and sent to Swedish battlefronts was running low. Without Finland's strong support, the Swedish Empire collapsed. Inherent to this age was also a relentless economical exploitation. Finland was taxed harder than other parts of country. During the period 1648-1715, the Stockholm Tar Company, directly to which Finns were under obligation to sell their most important export goods, the tar - was a severe liability for Finland's economy. Swedes then exported the tar with a substantial profit. The Swedish drinking toast (skål) has a rather macabre background; it originally meant 'skull'. The word has come down from a custom practiced by the warlike and terrorist Vikings who used the dried-out skulls of their enemies as drinking mugs, with the evident advantage that the mug held a large quantity of mead and could be easily replaced. The Swedish Vikings were the terrorists of their time, who killed thousands of innocent people. The Vikings carried terror around the coastal kingdoms of Europe and Southern Finland. The endless flood of Vikings is on the increase. Everywhere, Christ's people are the victims of massacre, burning and theft. The Vikings destroy everything. Towns are emptied and evil triumphs! Monks, townspeople and everyone else have been slaughtered or taken prisoner. Monasteries along the river Seine have been destroyed. A postcard of the fenced school in Finland, 1908. 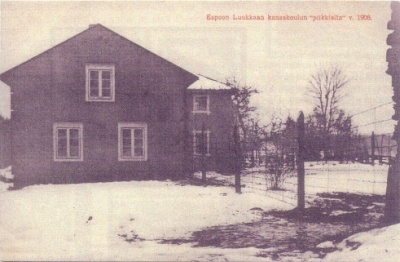 The text of the postcard reads: The Luukas school building fenced off with barbed wire in Espoo in 1908, in Finnish Espoon Luukkaan kansakoulun "piikkiaita" v. 1908.